Most people are not vegetarians or vegans, although it is a fast-growing segment of the population. You can certainly add meatless meals to your cooking plans and have a much healthier outcome - but some people like meat and want to continue consuming it, so you need to learn how to make it better. First, start by choosing organic meats. You want foods that haven't been fed tons of hormones or feed that isn't healthy for them. It's a humane issue for many, but even if it's not for you, focus on the fact that free-range animals who have organic feed are healthier for your body. Organic does cost a teeny bit more than other cuts of meat, but if you're looking at cost, think of the cost is has on your body, and even the future medical costs you'll have due to poor choices. Once you find meats that are cut from animals raised in a good environment, choose better cuts of meat, like those that naturally have less fat on them. A filet mignon is going to be a healthy cut of steak, but remove the bacon wrapped around it before eating it. Lean meats - meats that have less marbling - can still be packed with flavor and juices - you just have to learn how to cook it so that it retains that flavor without drying out. Buying beef like hamburger meat is easy because it will be labeled with the percentage of fat. You may have always bought 80/20 so that it would be juicy, but start learning how to prepare the 95/5 packs instead. If you're buying chicken, look for skinless cuts rather than those with the skin on. If you're on a budget, just remove the skin at home before cooking. Generally, white meat is healthier than brown, but there's new evidence showing brown chicken has some benefits, too. In general, it's best to cook fish instead of other meats. Chicken is next on the healthy scale, followed by beef and then pork. Of course there are ways to make all of these meats healthier, if you try. "Laughter is important, not only because it makes us happy, it also has actual health benefits. And that's because laughter completely engages the body and releases the mind. It connects us to others, and that in itself has a healing effect." "I believe that parents need to make nutrition education a priority in their home environment. It's crucial for good health and longevity to instill in your children sound eating habits from an early age." "You know you're getting fat when you sit in your bathtub and the water in the toilet rises." REPORT: "Meal Replacement Diets Guide"
Finding a diet plan that works well for you is sometimes a difficult task. You may have to kiss a lot of frog diets before finding your prince (diet) and living happily ever after. The object of a diet plan should be weight loss that you can keep off in the future. A meal replacement diet is one of the easiest and most impactful weight loss programs you can adapt to your lifestyle. Most dieters choose a low calorie shake as an easy and fast replacement meal, but there are also other options - such as bars or a salad - rather than a burger. The meal replacement diet is simply one type of plan you can choose from. As with every diet plan this one has both benefits and drawbacks. 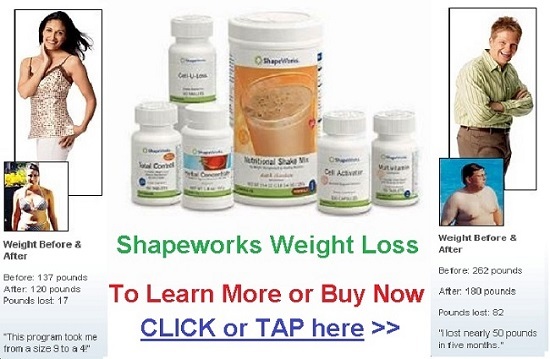 Meal replacement diets have grown exceedingly popular over the past years. One reason is that they take very little time and you don’t have to think about various options or plan extensively to begin or carry through with the plan. Many people choose a meal replacement diet specifically for weight loss, but those with digestive problems such as Crohn’s disease, gastritis and ulcerative colitis may lack the appetite to eat three solid and fresh meals per day, so a meal replacement diet can also provide nutrition and calories they might otherwise miss. For those who need to lose weight, the meal replacement diet is considered a way to rapidly and easily lose weight. When you replace at least one meal per day with a low calorie or liquid meal and enjoy healthy, low calorie meals and snacks at other times during the day, you calorie intake is decreased. When you burn more calories than you ingest, weight loss is bound to occur. It’s the type of weight loss plan that’s targeted to busy, on-the-go people who have little time to plan or cook healthy meals. There are some drawbacks to the meal replacement diet. For example, although the shakes and other types of meal replacement products (such as Nutri-System and Jenny Craig) advertise that they provide essential minerals and vitamins, they also contain super-processed ingredients. Choosing whole foods for a low-calorie diet plan can provide a more balanced and nutritious meal than a replacement – and when you choose real foods, you’re more apt to make choices needed to help you keep the weight off for good. 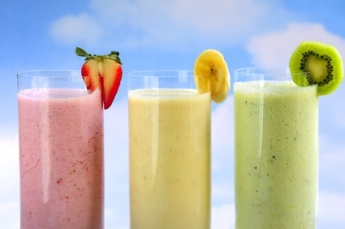 But if you prefer liquid meal replacement, smoothies are good alternatives to pre-packaged shakes and meals. Smoothies made with healthy fats and protein can provide you with great nutrition and a filling meal substitute. While it’s best to focus on good habits such as exercise and a healthy diet plan, meal replacements can work for some people to help them stay satisfied without having to consume or be tempted by high-calorie meals. Just make sure you read the labels on meal replacement shakes or food substitutes and check to see if you’re getting all the vitamins and nutrients you need for your body to stay healthy and perform at its best. In the vast and confusing world of diet plans, it’s important that you find the one that works best for you and can ensure that you reach optimal health and the weight loss (or gain) that you desire. Everyone is unique in which diet they’re more apt to stick to and which will fade away in a short amount of time or when the urge to break away from the diet and binge eat becomes overwhelming. The meal replacement diet plan can work great for some. You’re only replacing one or two meals per day with a shake or pre-packaged meal such as those from South Beach or Nutrisystem. That’s easy enough to do, especially since you have the choice of only missing one meal. If you’re a person to whom time is an obstacle for enjoying a complete meal, this plan can be an asset that helps keep you from starving and then eating too much when you can finally sit down for a meal. Another good reason to choose the meal replacement diet is if you’re just not the type who enjoys or knows how to prepare nutritious meals and snacks. You may not relish the idea of spending time standing at the kitchen counter and chopping veggies. With the meal replacement plan, you don’t have these issues and you can enjoy a calorie-controlled meal that you can carry in your purse or backpack – or keep frozen until it’s time to microwave it. If you choose correctly, they can also be nutritionally-balanced. This type of diet plan can be a great choice if you only have a few pounds to lose – and probably want to lose the weight fast. If you stick to the plan of replacing one or two meals a day with a replacement shake or frozen meal, you will definitely create a calorie deficit and lose weight. Calorie-counting is a no-brainer on the meal replacement diet. You don’t have to worry about measuring and counting calories for your meal – it’s already done for you. And no more wondering about using the right type of ingredients such as milk or cheese. It’s also all done for you. You might become tired or frustrated with the meal replacement diet if you prefer a more satisfying meal. Shakes and replacement meals aren’t very satisfying if you have the urge to eat a more hearty meal – and you may fall off the plan if you feel deprived. Another problem with the meal replacement diet is that shakes and substitute meals are often laden with sugar, preservatives and other unhealthy ingredients. The replacement meals may also prove to be too expensive for your budget. Compare prices before choosing a plan. Finally, the meal replacement plan is a good choice if you are too busy or not interested in preparing foods ahead. It’s easier to stick to the diet because you know what you’re having for a meal ahead of time, but you may not learn how to make healthy choices if you rely heavily on pre-packaged meals. One of the advantages of a meal replacement diet plan is that very little preparation is necessary. After you decide which type of replacement plan you want to try, it’s simply a matter of ordering or shopping for the shakes or prepackaged meals and remembering to take them when you have to be away from home. There are so many powdered and pre-mixed shakes to choose from. Many contain added sugars and preservatives, so be sure to check the ingredients. An unflavored protein powder has very few additives and provides about 20 grams of protein. Since some of the shakes are unflavored, it helps to add some frozen raspberries and some unsweetened almond milk. Other additions you might want to try include sweeteners and bananas, but be careful about adding too many carbs. You may be able to mix the flavored powders with water, but check the nutrition label first to ensure you’re not getting too many carbs. Almond milk is a good alternative to water or other liquids such as milk to reduce the carb count. If you don’t want to take the time to mix your own shakes, there are store-bought, pre-packaged shake options. Slim Fast and Atkins produce high-protein meal-replacement shakes in various flavors. Pre-packaged shakes are convenient and are good meal replacement choices if you’re just too busy or in a hurry to make your own. Don’t rely on them too much though – they lack the nutrients you get from natural foods or other types of shakes. Replacement meals also come in the form of frozen or on-the-shelf pre-packaged meals. Many are delivered directly to your home so you don’t even have to prepare a grocery list for them. Some are expensive and some offer very little taste. You may need to opt for a less expensive time frame for pre-ordering to discover which is best for you. These diets-to-go meals are better choices than most drive-thru fast food diners and work well for the meal replacement diet. Many of the mail-order replacement meal plans offer breakfast, lunch and dinner options, so you can easily choose which meal you need or want to replace. You can also choose from many types of meals. For example, there are balanced meals, which offer calorie-control based on your needs that include heart-healthy fats. Vegetarian meals with protein that includes eggs, beans, soy and dairy, carb-restricted meals and even meals for diabetics are available. Preparation for shakes or meals is easy – all you need is whatever type of blender or shaker is recommended for the shake you choose. For meals, you usually need access to a microwave oven. I'd love to help you with your optimal health and weight goals! 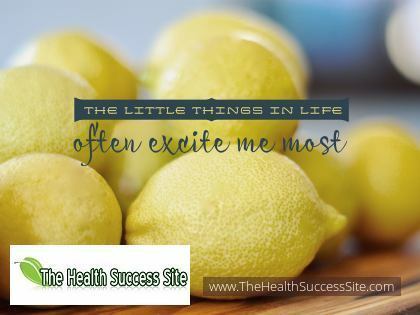 Learn more here (<= tap or click image button)about the products that I've been taking myself for over 25 years, and that have helped millions of people. Products can be ordered online and delivered to your door almost anywhere in the world. One of the most powerful products I can recommend to my clients is the Thermojetics Beverage. It speeds up your metabolism and boosts your energy to burn more fat faster. Did you know that Chronic Fatigue Syndrome can be as disabling as Multiple Sclerosis, Lupus, Rheumatoid Arthritis, congestive Heart failure and similar chronic conditions? If you need help to cope chronic fatigue you will get it here! 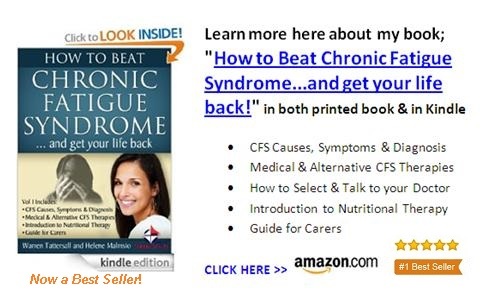 I'm proud to announce that the first book in our series became a Bestseller on Amazon, ranking #1 in the chronic fatigue syndrome category! 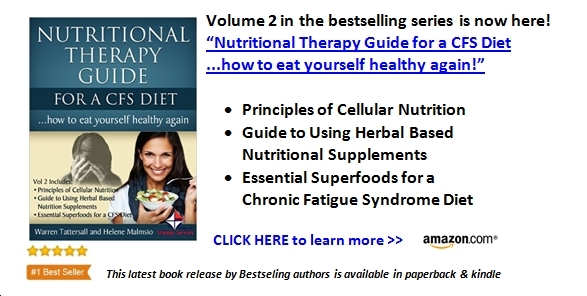 Since then, I have published Volume 2 about our CFS Diet, to fully explain how your digestive system, using cellular nutrition and superfoods, along with herbal based nutrition, can help you to recover your energy and wellbeing too! The meal replacement diet concept is simple – replace one (or two) full meals such as breakfast, lunch or dinner with a protein or low calorie shake or a pre-packaged meal such as those offered by Herbalife, Nutrisystem and Atkins. Most who choose this plan like to replace breakfast or lunch. Lunch is a good middle-of-the-day meal that some people are too busy to stop working for. A lunch replacement shake of any flavor you like can provide you with energy and the nutrients you would have missed if you skipped lunch entirely. Shake flavors include chocolate, caramel, banana, vanilla, strawberry and much more. They vary in calories, flavor and the amount of vitamins and nutrients and it may take some experimenting before you find a type you like. If you’re the type who needs breakfast to maintain energy and focus, there are many options available. Breakfast is a meal that many miss because they’re too busy or don’t have enough time to prepare. Prepackaged meals or shakes are good alternatives. A lunch meal replacement simply contains food items that are low calorie, but satisfying and also provides energy and vitamins and nutrients. A typical lunch replacement meal might include soup, half a sandwich and some fruit. Prepackaged meals for dinner might include chicken breast and mixed vegetables prepared in a low calorie, but nutritious method. Always read the ingredients of prepackaged diet meals to be sure they don’t contain too many unhealthy ingredients that processed meals sometimes do. The meal replacement diet is fairly easy to follow to lose a desired amount of weight or replace a meal you never have time for. Meal replacements can be a very good tool for managing your eating habits and if you understand how to choose them for nutritional value, it improves your health. One of the best tips you can use to be successful with the meal replacement diet is to also choose an exercise program and make other healthy food choices when you choose other meals. If your main problem is time to prepare and eat a nutritious meal or if you’re on the go most of the time, choose a nutrition bar for your replacement meal. You may get more satisfaction by eating a bar than you would with a liquid meal. Shakes can be a bit more inconvenient than bars, but when you want to slowly sip a meal and make it last, they may be the best choice for you. Also, some shakes require refrigeration or a freezer while others can be consumed at room temperature. Making your own meal replacement is a great way to save money and regulate the ingredients and calories that go into the meal. Preparing ahead of time in your free time can help you learn how to choose healthy items. There are many recipes available online to make your own shakes too. You can add healthy ingredients such as avocado, banana, peanut butter and spinach to add flavor and nutrition. When searching for the best meal replacements, try to find those with a total of between 250 and 350 calories. Also, check out the nutrition of the meal on the label. Taste is a big factor, too - and you may have to try a few samples before you find a product label that you like. Protein is one ingredient you should look for to keep you satisfied and full. About 12 to 20 grams of protein per serving is a good balance to look for. Choosing the right amount of protein can keep you from fighting hunger pangs for up to 4 hours. Finding shakes or meals that are properly fortified with vitamins and minerals is important to your health and ability to use replacement meals long-term. A meal should contain vitamins A, B, C, D, E, K and magnesium, potassium and calcium. Look for low-fat replacement meals. Up to 15 grams of fat per serving is the best choice. Also, look for unsaturated fats rather than the unhealthy saturated fats on the label. Fiber is another important ingredient in replacement meals. Three to five grams of fiber in a replacement meal can help keep you healthy and full. You can also add a few slices of fruit and vegetables to your meal replacement to make sure you’re getting the right amount of fiber and nutrition. Replacing only one meal per day can greatly impact your weight loss program. Learn to make healthy choices on your own so you can eventually choose your own replacement meal options. Use the ready made meal replacement diet as a short-term fix for losing weight and eating healthier. It’s a great way to begin a weight loss program and it’s easy to follow and plan for. The quick weight loss you experience can also motivate you to eat healthy at each meal that you yourself plan, prepare and consume whenever the meal replacement option isn’t on the table. Hope you found this week's report helpful for you. I took my own advice and pondered the things that I want to get done this year. I had good experience getting focused on proper use of the Herbalife products for weight loss before Christmas. I think most of us tell ourselves it is all fine, and dress appropriately, but it is easy to end up carrying more weight than we should be. I am more guilty of that than most people as I have the tools to deal with it in my office. AS one of the things that I've taken on as a focus I decided that it was time to sort my weight. I've set a low level of weight loss (1 kg - 2 lbs a week). I have locked myself into doing that a couple of weeks a month and when I am off doing other things then not caring if there is no weight loss. Time it to be all easy and just fit it in with everything else and not worry, but still be clear about getting where I need to be and keeping there for the rest of the year. This is something that I will feel good about at the end of the year, improving physically rather than accepting the aging process as an excuse. If you are interested in how I am doing that for myself then send me an email and I will be happy to chat. ♥ Moms know how to talk to teachers without scaring them. 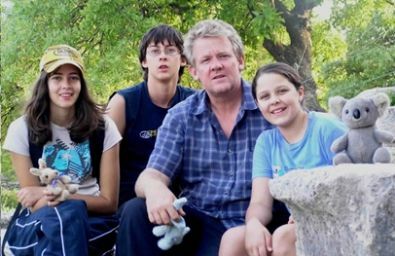 ♥ Dads are taller & stronger, but moms have all the real power 'cause that's who you got to ask if you want to sleep over at your friend's. ♥ Moms have magic, they make you feel better without medicine. ♥ On the inside she's already perfect. Outside, I think some kind of plastic surgery. ♥ Diet... You know her hair. I'd diet... maybe blue. ♥ She has this weird thing about me keeping my room clean. I'd get rid of that. ♥ I'd make my Mom smarter. Then she would know it was my sister who did it and not me. ♥ I would like for her to get rid of those invisible eyes on the back of her head. Nominated as the world's best short joke of the week. . . . . .